When your equipment is literally a life line, it’s good to know you can count on your gear. The Karpos Mountain Jacket is a workhorse designed for daily life in the mountains. 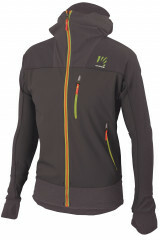 It’s efficiently constructed to be weatherproof and durable without sacrificing too much breathability. The Mountain Jacket is the complete package for skiers looking to extend their scope of practice beyond bluebird days. 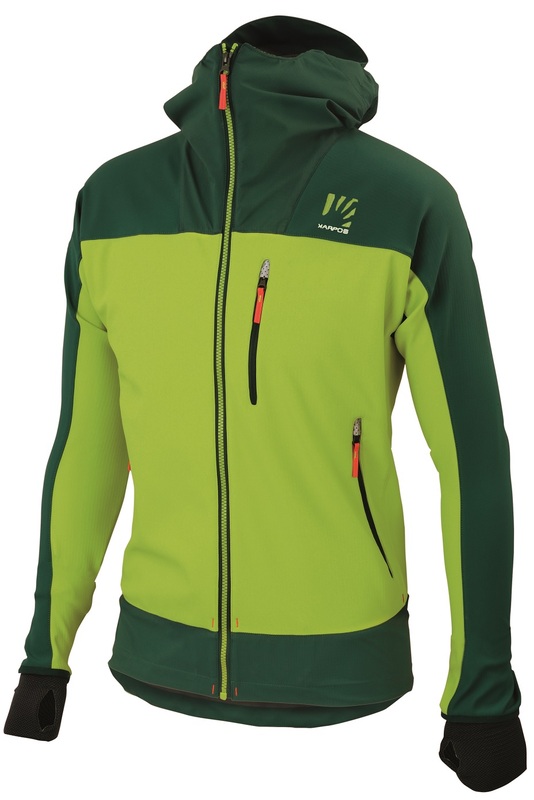 The most exposed sections of the jacket, the torso and sleeves, are made of K-Shell, a durable windproof and water-resistant fabric that will readily stand up to rugged mountaineering. 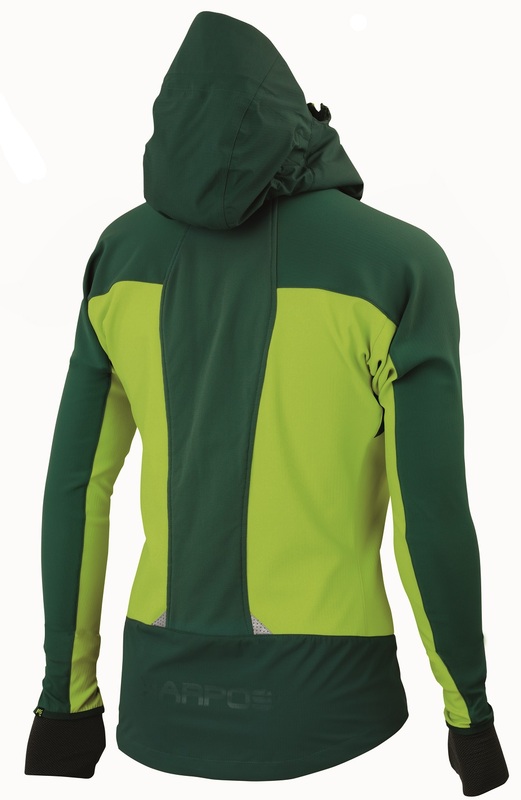 The hood and waist section are K-Dry, which is seam-sealed with a 20,000mm waterproof rating, an impressive feat for such a breathable jacket. The back-panel and underside of the arms are made of Cordura, an extremely abrasion resistant fabric. The inside is lined with Thermo Fleece, a breathable and sweat-wicking material that’ll keep you warm and dry. YKK zippers are the only zippers Karpos will use and they are found on the huge center zip, chest pocket, and both front pockets. If you are looking for a jacket that will stand its ground against cold and wear, but performs like a much lighter jacket, Karpos’ Mountain Jacket is the one for you. 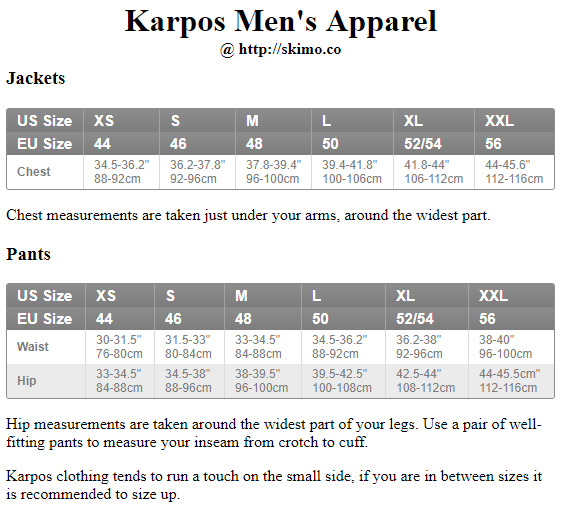 Only the best from Karpos, durable and jam-free YKK zippers can be found top to bottom. Cordura inserts on the back panel and under-side of the arms for max durability. Rigid visor on the hood helps keep debris and wind out of the way. Seam sealed hood and waist are rated to 20,000mm of waterproofing. Thumb holes and mini cuffs seal out the elements. Adjustable waist via draw string closure. Notes Hem adjustable from inside pocket.